This month’s guest speaker at NPAC was Judge Ed McKenna, presiding judge of Seattle Municipal Court. SMC handles misdemeanor and gross misdemeanor cases, such as DUI, domestic violence assault or harassment, theft and criminal trespass. It also handles infractions like traffic tickets, traffic camera tickets, and parking tickets, and civil violations related to building and zoning. For information about the court, including some of the pressures it and the judges face in light of the current city crises such as the opioid epidemic, read the minutes below. The Crime Prevention Coordinators and Patrol Officers have been reaching out to the Jewish schools and synagogues since the mass shooting in Pittsburgh. This year SPD has seen more reports of anti-Semitic bias reports. Some overtime hours have been granted north precinct for more police presence at Northgate Mall over the holidays. Robbery is up 11% year to date in the north precinct, same as city-wide. Residential burglary was up 2% here, whereas city-wide it was up 3%. There’s been a spike in car prowls, but car theft is down 5% YTD. 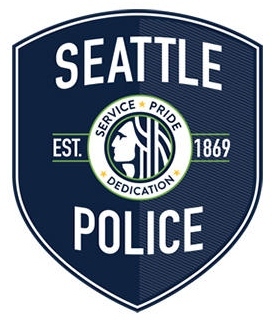 An average of over 3 cars per day are stolen in the north precinct. When and where is the January, 2019 meeting to be held? Thanks.